Monty Navarro was born to a mother of an aristocratic background, but because she fell into disfavor with her family, the D’Ysquiths, she was cut out of any perks. So much so that Monty only learns of her pedigree after her death. 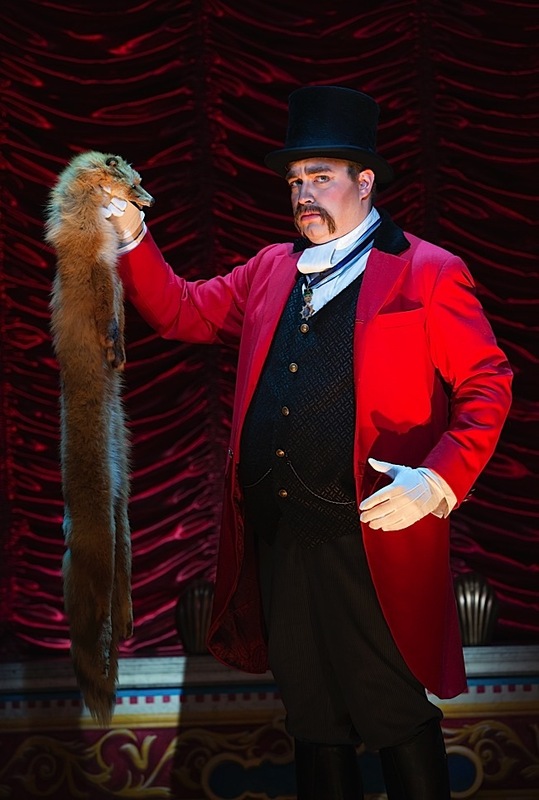 He also learns that he may be, albeit remotely, in line of succession for family wealth and title in A Gentleman’s Guide to Love & Murder, now on national tour at the State Theatre. Faced with a life of drudgery and horizontal to downward mobility, he takes things into his own hands and filters his way into the D’Ysquith inner circle so that he has a stab at becoming the heir to a great fortune. Hence, sweet and mild-mannered Monty turns to clever ways of killing to take his piece of the pie and then some. Robert L. Friedman’s endlessly clever book for the musical draws from Roy Horniman’s novel. 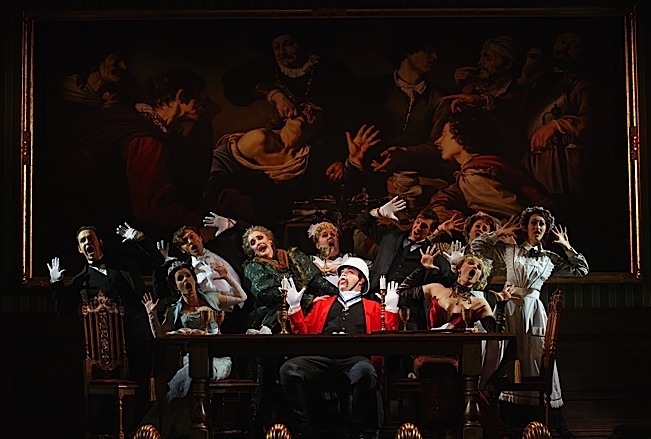 The 2014 Tony-winning hit is a dazzling work of audacity and comedic celerity, with a sound that resonates of Gilbert and Sullivan and Stephen Sondheim. Steven Lutviak’s music and lyrics are at the same time resonant of the Edwardian era the musical is set in, and the spirit of a Blake Edwards comedy. Kevin Massey’s Monty is a wily blend of sweet innocent charm and matter-of-fact killer instinct. He is uproariously matched with the illustriously versatile John Rapson in multiple roles as various members of the D’Ysquith family, male and female, who Monty sets to victimize. One of Aaron Rhyne’s ingenious projection designs pays hilarious tribute to Hitchcock and Alexander Dodge’s set is a spoof in itself on the ostentatious decadence of class. A stellar supporting cast directed by Darko Tresnjak and choreographed by Peggy Hickey transports you to a madcap dimension and could very well have you naughtily rooting for the murderous Monty. 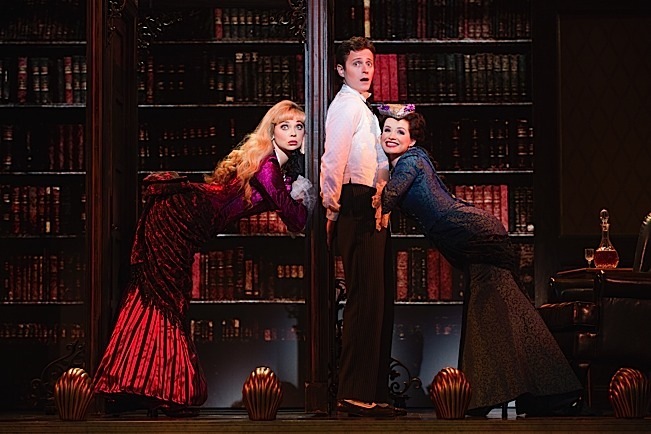 A Gentleman’s Guide is a delectably guilty pleasure indeed.